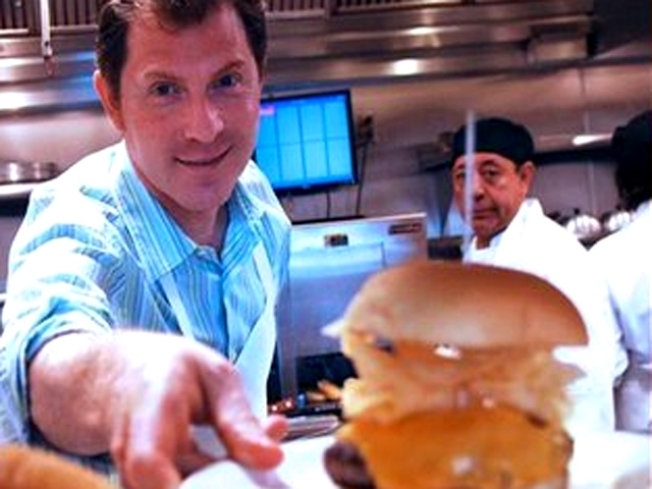 Food Network star Bobby Flay is opening a new "Restaurant" with NBC. The celebrity chef has signed on for NBC's "America's Next Great Restaurant," according to The Hollywood Reporter. The trade mag reported that he will be joining four other "restaurant leaders" on the upcoming show, which will feature contestants vying to launch a new restaurant chain. Bobby will serve as an investor and mentor as well as a judge. The Southwestern-style chef hosts several Food Network shows, including "Throwdown! with Bobby Flay" and "Boy Meets Grill," and frequently appears on "Iron Chef America." He has also served as a correspondent on CBS' "The Early Show."